Burnley will open the new Premier League season with a trip to St Mary’s to face Mark Hughes’ Southampton. 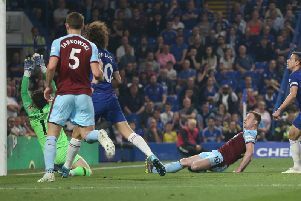 As the Clarets look to replicate the flying start they made last year, winning 3-2 at champions Chelsea, they will travel to the south coast on Saturday, August 11th. They picked up maximum points there last season at the start of November, courtesy of a late winner from Saints fan Sam Vokes. Then Watford will be the first visitors to Turf Moor the following Saturday, August 18th – a fixture Burnley also won 1-0 last season with a goal from the now-departed Scott Arfield, who has moved north of the border to join Rangers. Sean Dyche’s side will round off August with a game at newly-promoted Fulham’s Craven Cottage on Saturday, August 25th, before Manchester United come to town on Saturday, September 1st. Other key dates see trips to champions Manchester City on Saturday, October 20th, and a north London double header in the space of a week before Christmas, as Burnley travel to the new-look Tottenham Hotspur Stadium at White Hart Lane on December 15th, and the Emirates to face Arsenal, and their new boss Unai Emery, on the 22nd. Boxing Day sees Marco Silva’s Everton come to Turf Moor, while West Ham are the visitors on Saturday, December 29th. Burnley make the short trip to Huddersfield on New Year’s Day. The Clarets’ run in looks tricky, with a trip to Chelsea on Saturday, April 20th, followed by a home clash with Manchester City on the 27th. Burnley will take on Everton at Goodison Park on May 4th, and finish the season at home to Arsenal on May 12th. Burnley’s Carabao Cup entrance will come at the third round stage on Wednesday, September 26th, while a number of dates could also change for television purposes, and, dependant on the club’s progress in the Europa League, where they enter at the second qualifying stage, with a first leg tie on July 26th.